I first had these almonds last year while I was up visiting my mother and father-in-law at their office. 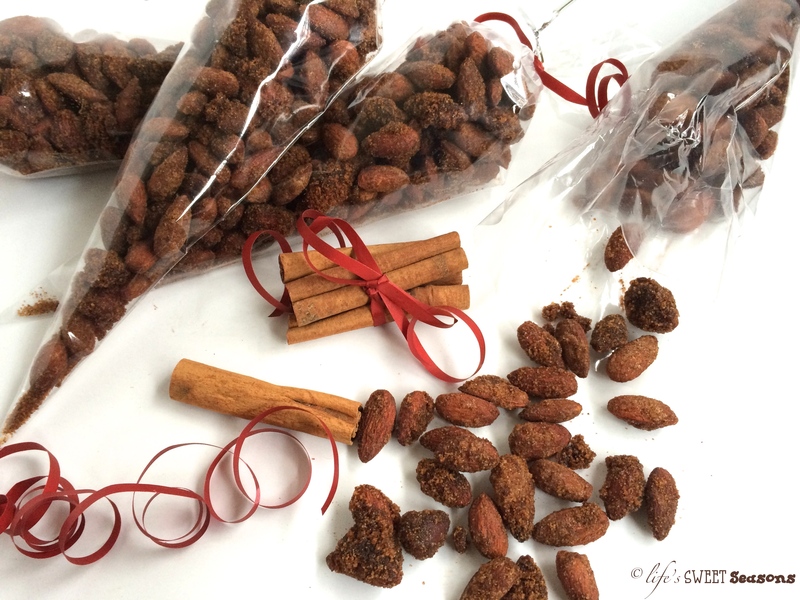 Some wonderful soul had stopped by use them as guinea pigs to see whether or not her homemade almonds were good enough to be given away to friends and family at Christmas. She was kind enough to leave a jar with them which was still open when Mike and I arrived. After I tried them I asked Debbie if that same person had also left the recipe. “No, but she said that she made them in a crockpot,” she replied. “What? !” I was shocked. These almonds taste like the ones I’ve found in the mall or at a fair being sold for a whole lot more than I feel comfortable paying but because they seem like mysterious goodness I have to splurge, eat, feel happy, and then when they’re gone try not to have buyer’s remorse. I couldn’t believe that they were homemade and better yet, they were made in a crockpot! Fix it and forget about it? My kind of recipe! Well, I’ve made these several times now and unfortunately the whole “fix it and forget about it” phrase that I always attach to crockpots does not apply to this recipe. These actually take quite a while to make and sadly, you cannot forget about them because if they aren’t stirred occasionally (meaning every twenty minutes the first couple hours and every ten the last) they will burn. The good news is that all the recipes that I’ve seen for these almonds say that you need to cook them for a full three hours in the crockpot, but I’ve cut it back to two and a half and they still turn out amazing. I’m not even sure who to credit for this recipe because it’s found in a ton of places online, but nearly all the versions are the same. I’ve changed a few things about this recipe other than just the cooking time, such as the ratios of sugar, salt, and almonds. I cut back on the amount of sugar because there’s always so much left over that hasn’t been attached to the almonds. Even now, with the recipe as I’ve written it there’s a ton left over so it’s possible it could still be reduced. I increased the salt as per my husband’s request and as usual, he was right. I’ve increased the number of almonds because it seems sad to go to all that work and not have as many cinnamon and sugar coated, crunchy almonds as possible when you’re finished. In a small mixing bowl combine white and brown sugar, cinnamon and salt. Stir well. 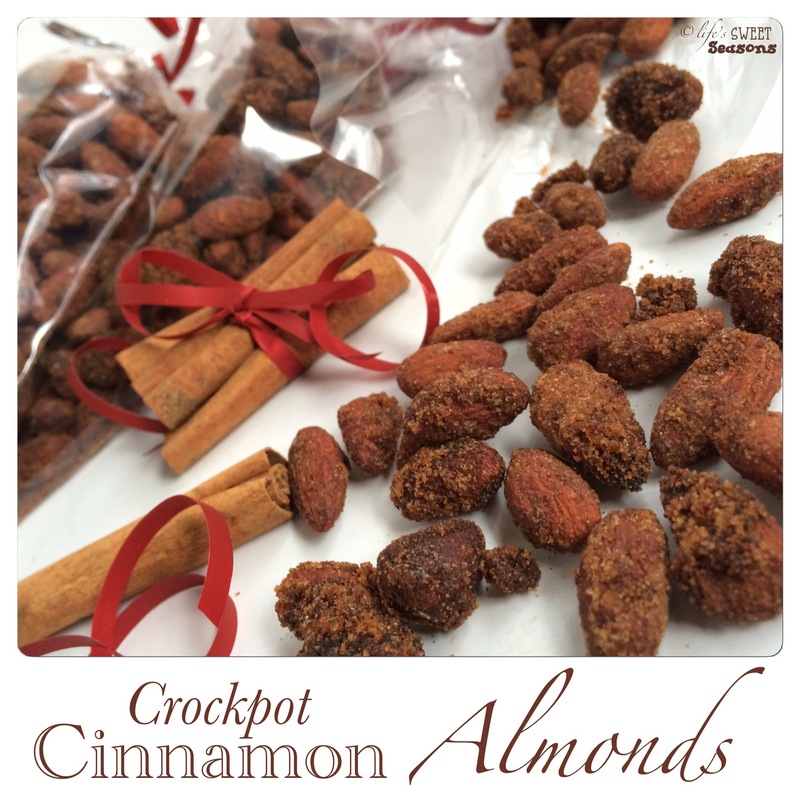 Pour the almonds into the egg white & vanilla mixture and mix until the almonds are completely coated. 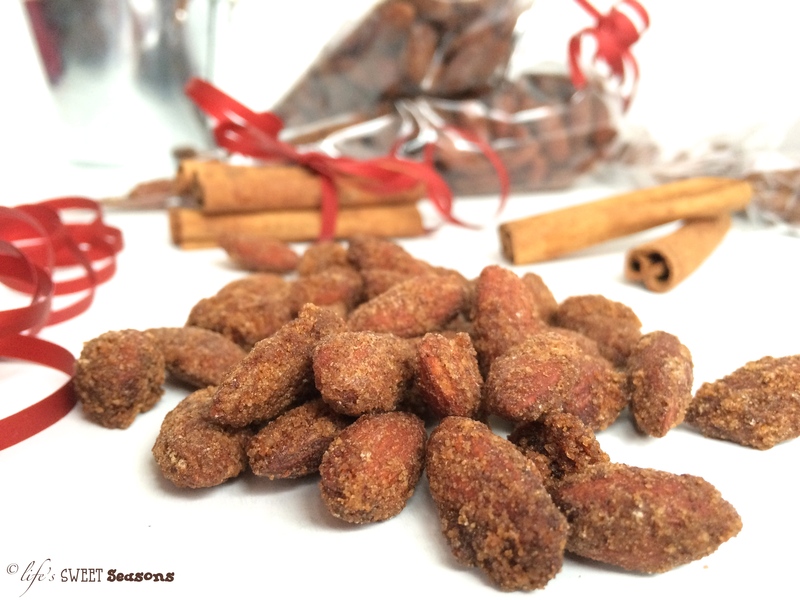 Add cinnamon and sugar mixture to the almonds and stir again until almonds are coated. 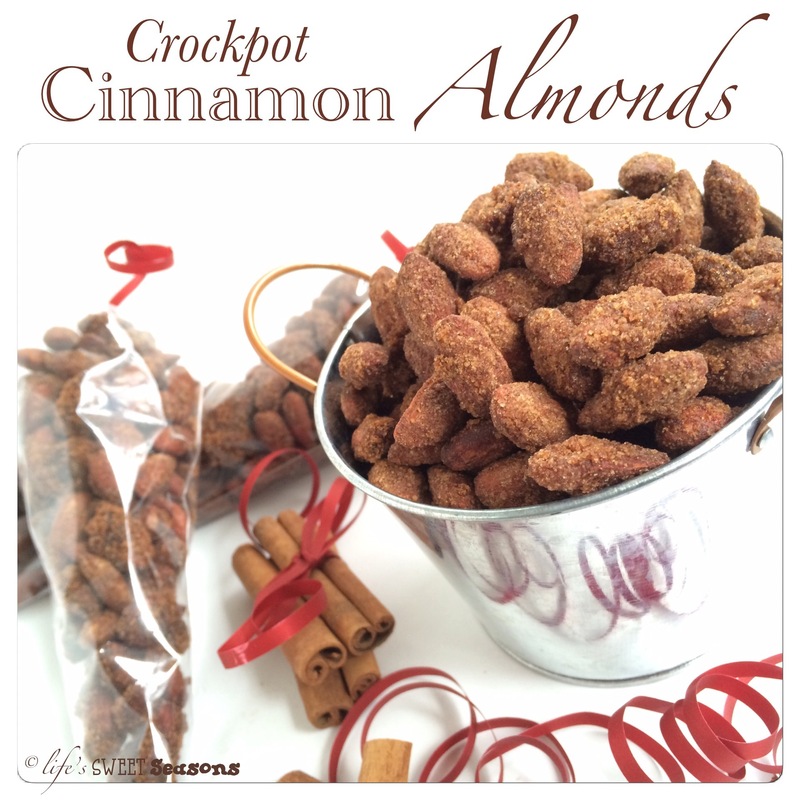 Turn crockpot on high, pour almonds in and cover. Stir almonds every twenty minutes for 2 hours and 40 minutes. Make sure you scrape the bottom and sides of the crockpot when stirring.